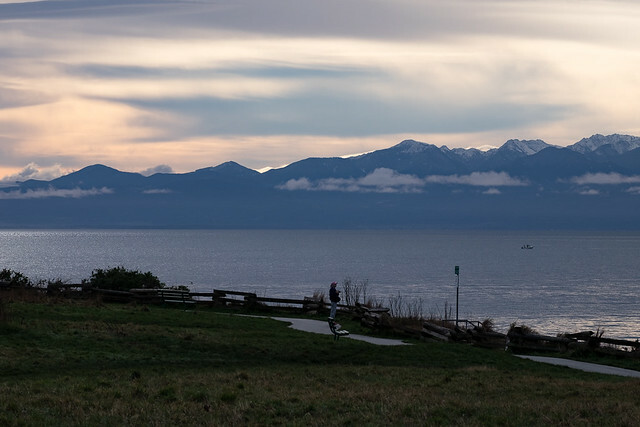 Beacon Hill Park in Victoria BC dates back to the late 1800’s when the area was being settled. 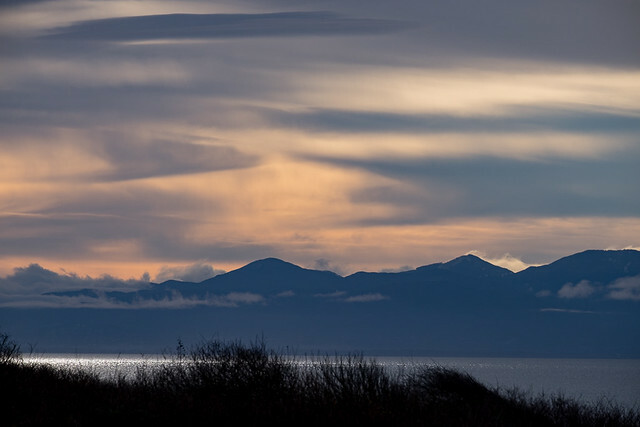 It’s close to the Pacific Ocean (Juan de Fuca Strait) and it contains some man made lakes. There are also plenty of big trees in the park – ideal for birds. The other day I was walking around and heard a real commotion up in this tree. These two, or at least one of them, had just chased away one other. Now they were coming to terms with each other. I expect the area around the tree will get quite odiferous as spring wears on. 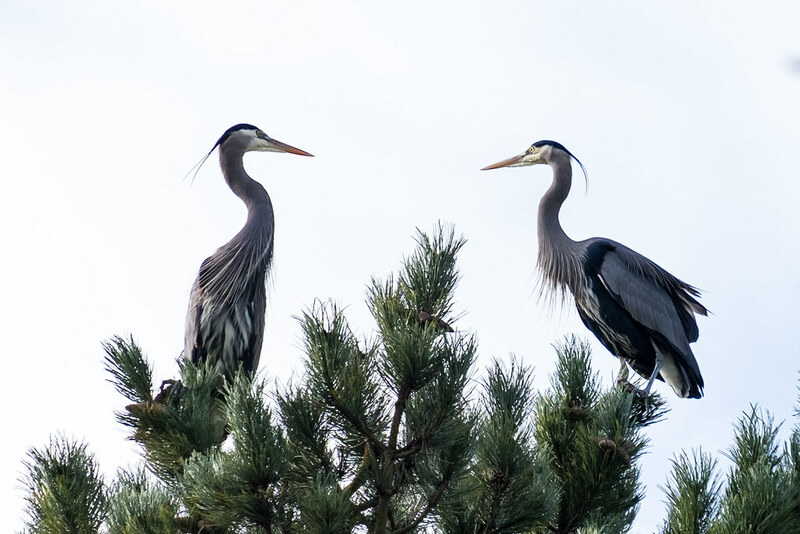 The great blue heron eats fish, so between these two and their young, there should be lots of guano around. 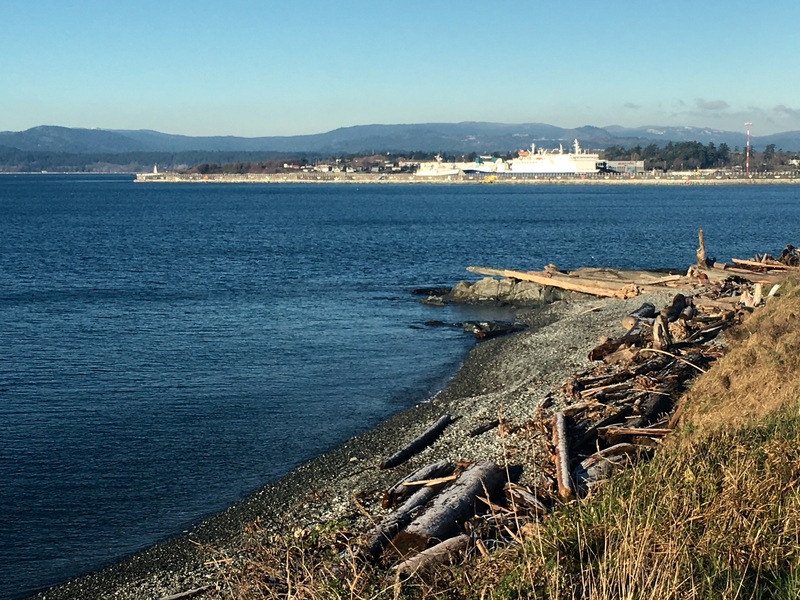 Lots of fun being out and about at this time of year in Victoria. Lovely start to New Year’s Day. Several times a week I’ll take a walk around part of the Victoria Harbour. The path I take is called the David Foster Walkway, and it goes from the US ferry terminals downtown, around to Fisherman’s Wharf. This spring, I started watching a family of otters feed, but one day, I saw these little critters out and about. 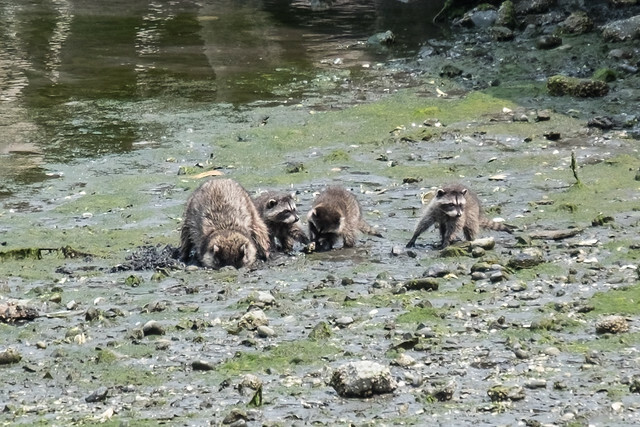 I guess this racoon family felt rather safe digging for breakfast in the harbour mud. Very cute to see. 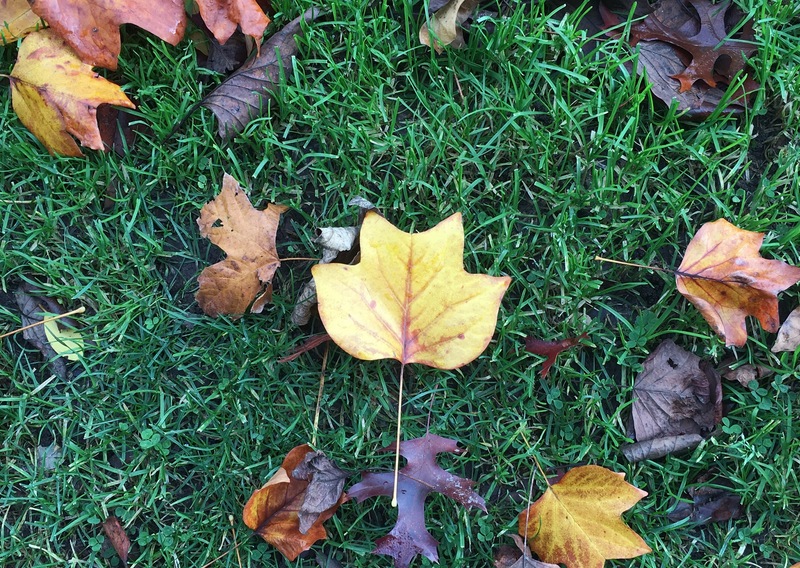 Leaves, leaves everywhere around Victoria these days. Yes. 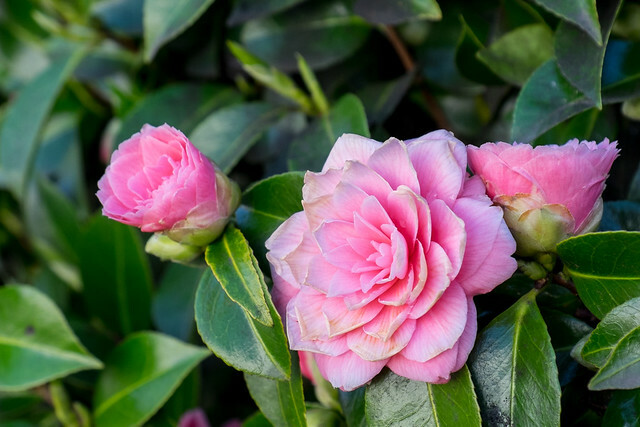 Camellia. On the second of March. If you saw the movie Guardians of the Galaxy, you might remember Groot. He was the first thing I thought of when I looked up and saw this. 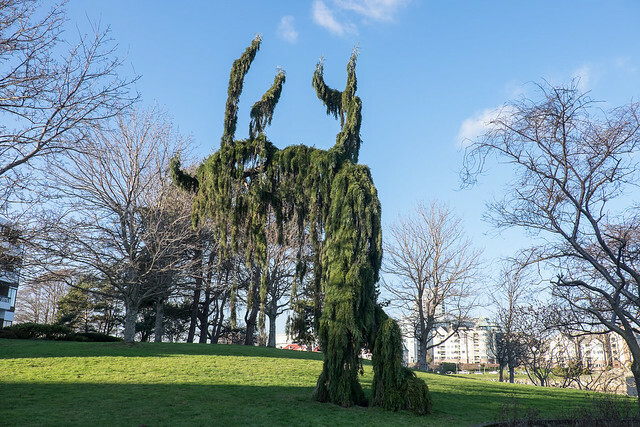 It looked like Groot doing a bit of a dance along the grass.